The Abbey tower dominates Bath and you can see it from all around the city, but the inside of the Abbey is well worth a visit too. 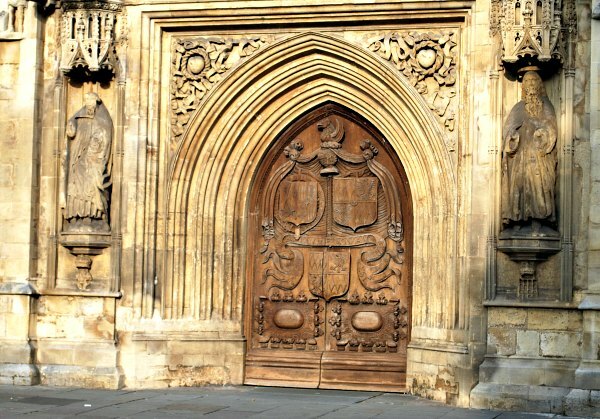 The current Abbey was founded in 1499 and it oozes history but still functions as a modern place of worship. It’s not unusual to find services taking place, but the Abbey is so big that many of the daily services take place at the front, whilst still allowing visitors to look around the rest. There are two things in particular that we love about the Abbey. Firstly, the ancient oak doors outside and secondly the amazing ceiling inside. 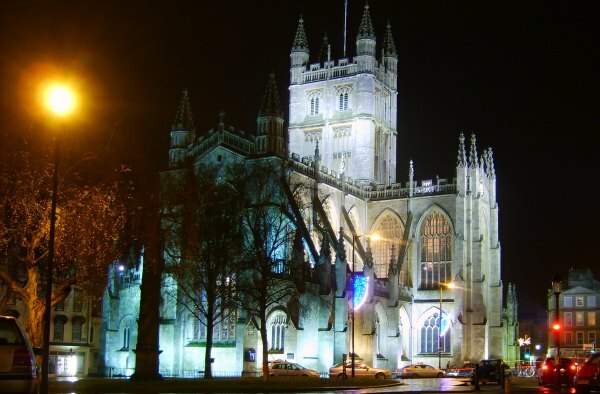 If you have the legs for it, you can also climb to the top of the tower for a tremendous view of Bath below on the fully guided “Tower Tours”. This is an extract from our free Bath City Guide. Once inside the Abbey, you are free to look around on your own. We often just spend a bit of time sitting on one of the pews to soak up the calmness of the place. You’ll often notice things you’ve wouldn’t have seen otherwise by doing this. One thing you can’t miss is the amazing amount of light coming from the high windows which run down both sides of the church. When you look up, you’ll see the beautiful carved stone ceiling, bathed in the same light. 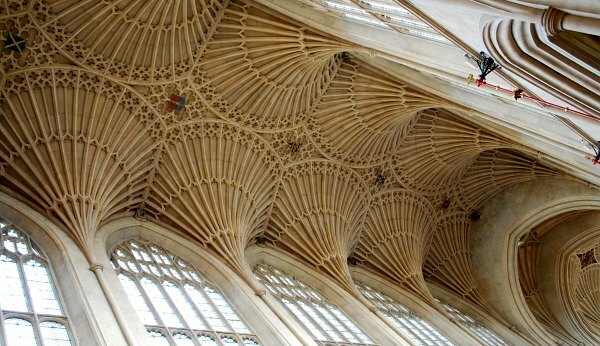 You can download a free audio tour of the Abbey for your MP3 player via the Abbey website – see the link below. This will then enable you to be guided around the significant parts of the inside. Stewards are also available to answer your questions when visiting. Chaplains are present most afternoons during the summer, leading prayers on the hour and Evening Prayer at 3.15pm in the St Alphege Chapel. 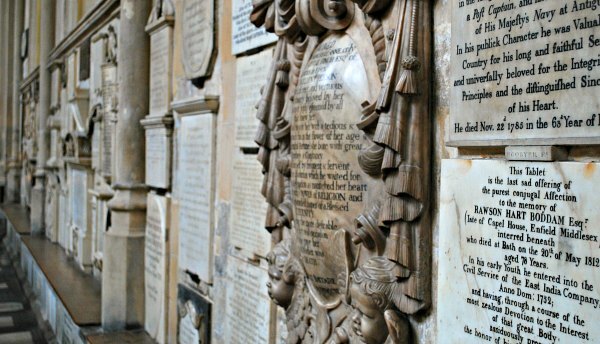 Group guided tours are available but they need to be pre-booked in advance and are provided by volunteer guides in English these can be tailored to suit your requirements and last approximately for one hour. The Tower Tours can be booked in the shop and usually take place on the hour. Bear in mind that they take around 50 minutes though, so you need to allow enough time. Your guide will take you step-by-step up the winding staircases that eventually lead to the tower. You’ll learn about the construction history on the way, but the best bit is without doubt the view from the tower top. You can see for miles! You return via a door at the rear of the Abbey so you can look around inside if you haven’t had chance to do so. Tower tours cost £6 for adults (2014 prices). 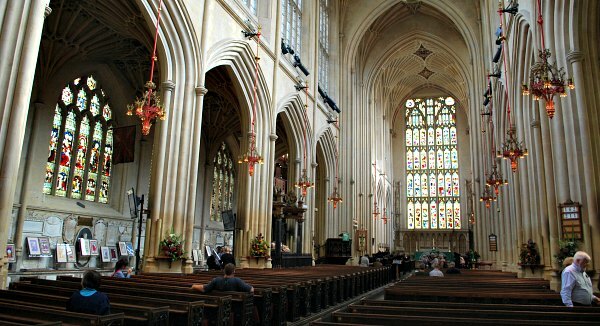 Bath Abbey is open to visitors from Monday to Saturday between 9am and 6pm (4.30pm in Winter) and on Sunday between 1pm and 2.30pm or 4.30pm and 5.30pm pm. You can also visit to take part in the regular services. Technically, there is no admission charge for the Abbey, but there is a manned desk you have to pass where you’ll be asked for the suggested donation, so it pretty much feels as though you have to pay. To avoid this uncomfortable feeling, enter through the shop instead and donate if you wish to.